DUFFIELD, Va. – Imagine for a moment that your business model, for the most part, revolves around one person – the opioid abuser. 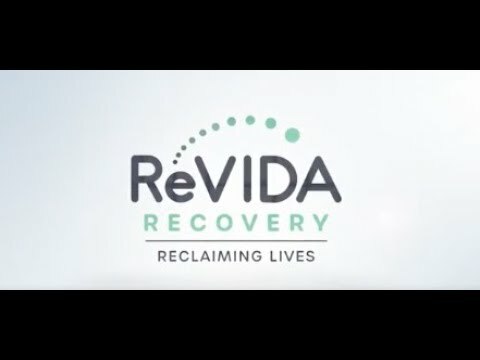 At least that’s the case for ReVIDA Recovery, a privately held Nashville-based company setting up shop in our region with a number of rehabilitation centers. “I would like the public to know that opioid abuse is a disease,” said ReVIDA Chief Operating Officer Ed Ohlinger during an interview at the company’s Duffield location. “There are very few great interventions or treatment for opioid abuse disorder. I spent the first 15 years of my career in the substance use industry treating all sorts of people with chemical dependency, including people who were on opioids and treating them through traditional outlets or step up. When you get to the opioid abuse disorder profile of patients, they do very, very poorly in traditional models of treatment. Relapse rates are north of 90 percent. Ohlinger previously worked for Acadia Healthcare for 15 years, where he worked in behavioral healthcare and was regional director. ReVIDA just had the grand opening of its location in Wytheville, Va., and all three locations in Virginia are certified with the Virginia ARTS program, meaning they accept Medicaid patients at those clinics. According to the National Center on Addiction and Substance Abuse, only one in 10 people struggling with opioid use disorder receives treatment due to barriers such as lack of insurance or high out-of-pocket costs. ReVIDA’s rehabilitation strategy, according to Ohlinger, involves using the drug suboxone. Is the opioid patient your primary source of business? How did Virginia’s Medicaid expansion help your business? ReVIDA founder and CEO Lee Dilworth said the company will continue to grow.